The United Nations has called for an immediate end to the use of pellet guns in the valley that killed 17 and injured more than 6,000 people. On Eid, Jammu and Kashmir's half-blind population also called 'pellet victims' and their families have little to cheer about. The desolated 1,200 people who have been rendered completely or partially blind by the use of pellet guns during 2010 uprising and then onwards have been crying for help as the successive state governments have deserted them. Pellet Victims Welfare Trust (PVWT), an organisation set up by the victims, has turned to people in Kashmir and elsewhere for financial help on the occasion of Eid since most of these victims belong to lower income groups. "During 2010 summer unrest, 2016 protests and other uprisings, mostly boys in the age group of 18-25 years received pellet injuries and are disabled. More than 90 percent of our trust members are these boys who have not only lost their eyes but their livelihood. There has been negligible support from the government and even the separatist leaders have offered no help," Muhammad Ashraf, the President of PVWT, told International Business Times, India. He further said that the pellet victims who live the life of marginalized now staged protests in Srinagar several times before against the government apathy. "The state government has been very selective in supporting the victims. Out of 1,200 people registered with our trust, a total compensation of Rs 2 lakh and jobs were offered to just 13 victims. What will the rest of us do?" Ashraf asked. According to him, those who received monetary support and jobs had contacts in the bureaucracy. "The rest of us are poor. Our families have sold land, jewellery and borrowed money to meet the expenses of our treatment. We all need to go for two routine checkups to the doctor, twice a month and the medicines cost us Rs3,000. There are no free treatment facilities yet offered by the government," Ashraf reiterated. 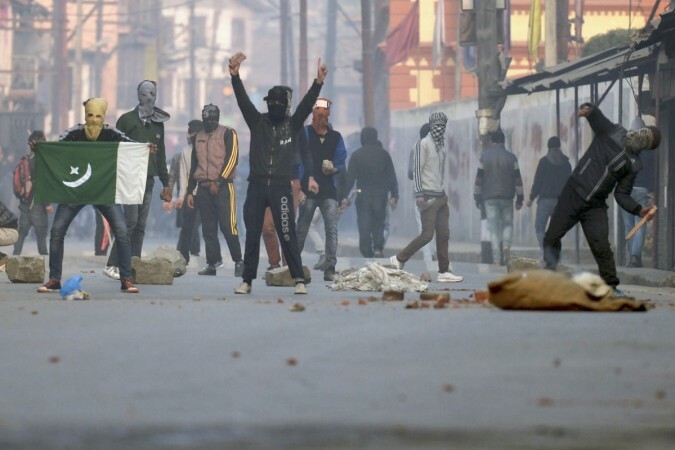 A majority of the victims come from the volatile South Kashmir region which was the epicentre of clashes between stone pelters and security forces. A 16-year-old-girl girl, Insha Mushtaq, became the face of the pellet victims in Kashmir after she decided to pursue her studies although she was rendered completely blind when a pellet hit her while she was sitting inside her home in South Kashmir's Shopian district. Insha went on to clear her Class 10 exams earlier this year. The United Nations in its first ever detailed report on human rights violations in the Kashmir region which was released today said that one of the most dangerous weapons used against protesters in 2016 – and which is still being employed by security forces – was the pellet-firing shotgun. According to official figures, 17 people were killed by shotgun pellets between July 2016 and August 2017, and 6,221 people were injured by the metal pellets between 2016 and March 2017. Civil society organizations believe that many of them have been partially or completely blind, the report added.